Private Lessons – CREATE. PLAY. TRANSFORM. Clay Ave is going around Manila! Thanks to the people I met last October at the U.S. Embassy Club Bazaar in Manila. 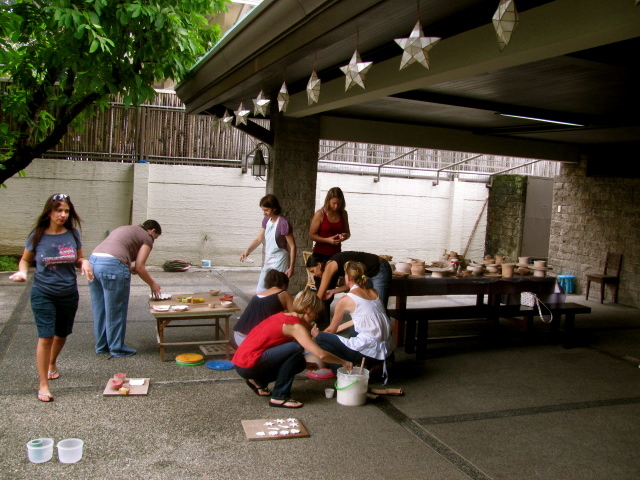 The Pottery Studio is located in Quezon City. Traffic in the city can go from bad to worse in any time of day. 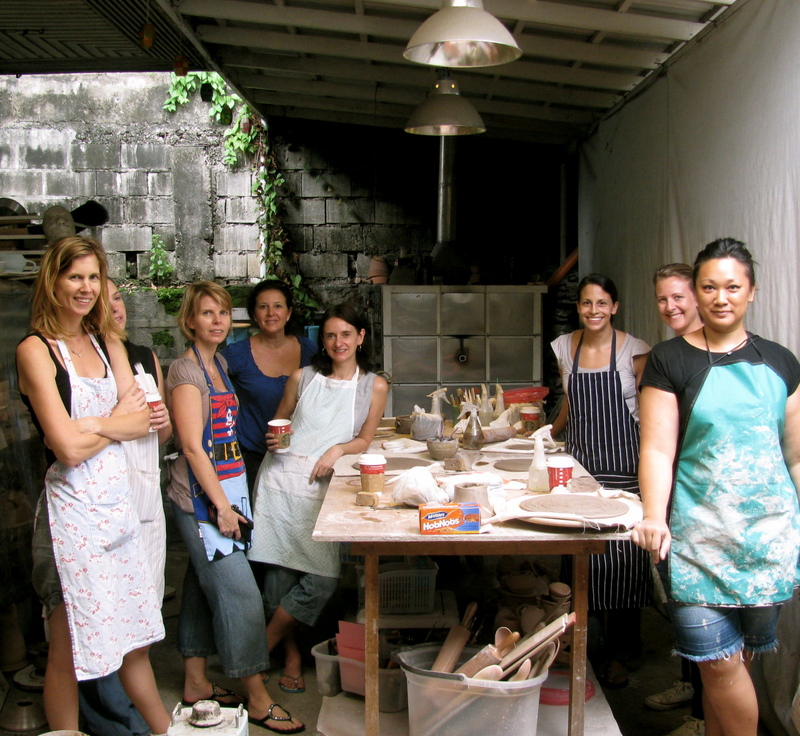 People in Manila, locals and foreigners, are starting to know that they can learn pottery. To make things even more convenient, you can learn the craft right in your home! A group of British women, decide to form a group of at least five students, to start a class. 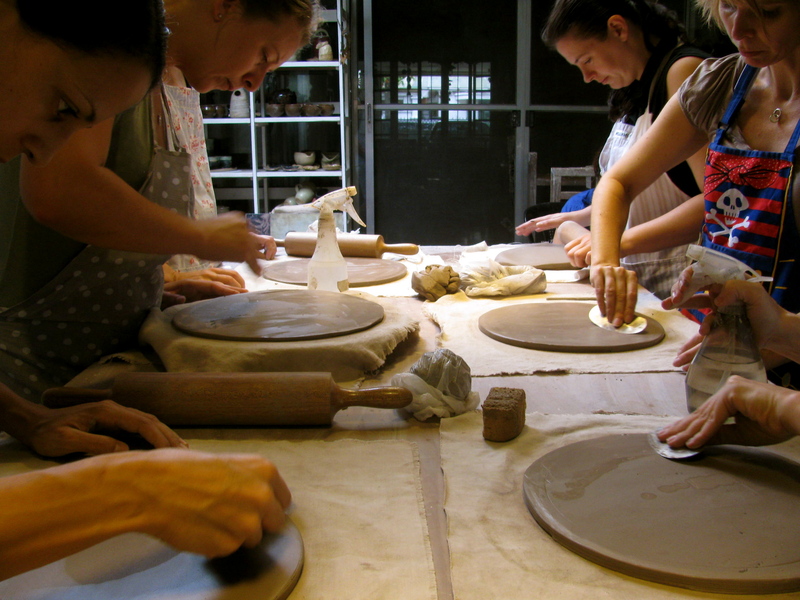 What do you need for private pottery lessons: Table to accommodate all students, table mat, and chairs. That’s all you need! Hands are busy while friends chat! These ladies know what they want to make and they make sure that they get it done. Here they make tiles and sushi plates, using the Slab Making technique. All basic forms are functional pieces. All food safe! The fourth session is Intro to Wheel Throwing. Students come to Clay Ave in Blue Ridge B, Quezon City. Claire centers her clay here and makes sure that she gets it. You did a great job, Claire! Elly pushes her clay out from inside, to form a belly on to her pot. While Jude makes a basic cylindrical shape from her centered clay. She (Jude) said that she has always wanted to make a pot with the potter’s wheel. Her dream came true at Clay Ave! She didn’t make just one pot but two! 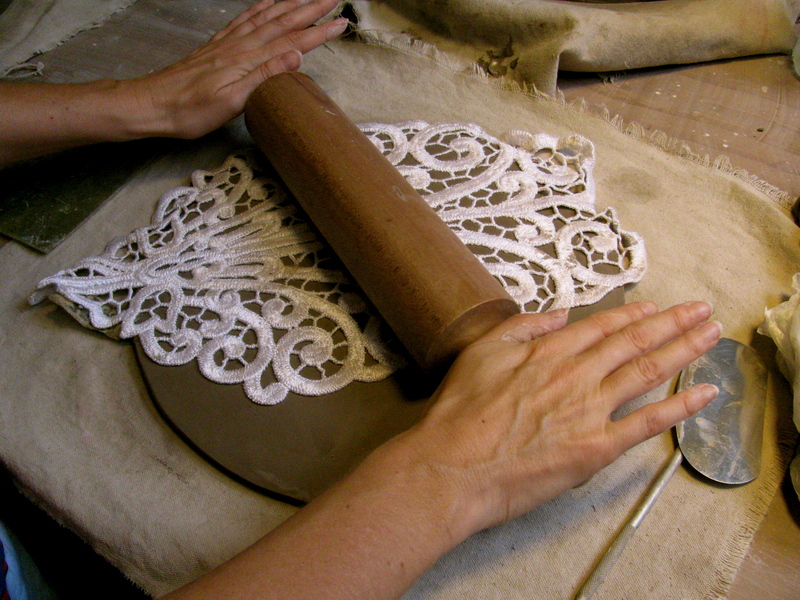 While some are busy centering their clay on the wheel, some are working on their cake stands, by working with slabs of clay. I have these lace or patterned swatches that I get from fabric stores and use them in the pottery studio. Any kind of texture can be applied to your handmade project. Leaving it plain and simple is an option too. Thank You ladies for braving the traffic all the way to Quezon City! You all did a great job on the wheel! The last and fifth session is glazing. I bring all the buckets of glazes to your house. Recommended area for glazing: the garage. The glaze drips can be removed by hosing the ground/flooring with water. There’s over a hundred ways to glaze pots. 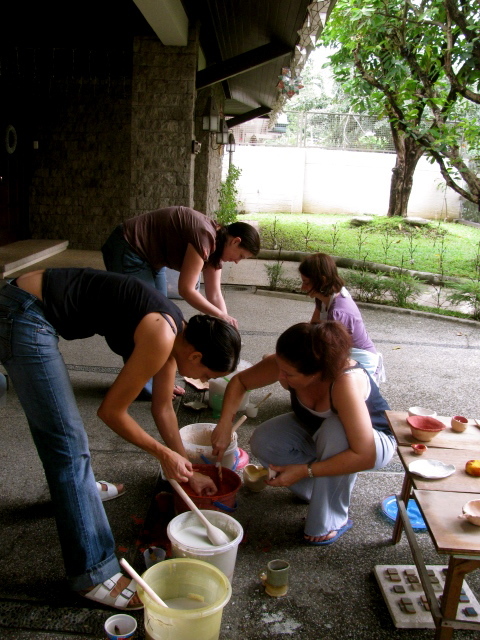 Here, the ladies learn the basics of glazing: pouring glaze onto the pots and dipping the pots in the buckets. It was a nice day to glaze the pots in the garage. It wasn’t too sunny and it drizzled for a few minutes. The small amount of rain made it comfortable for everyone to work outside the house. A cup of coffee or tea and a plate of cookies are good treats after each class. Eating something sweet, makes the whole pottery experience, a sweet way in spending a productive day. 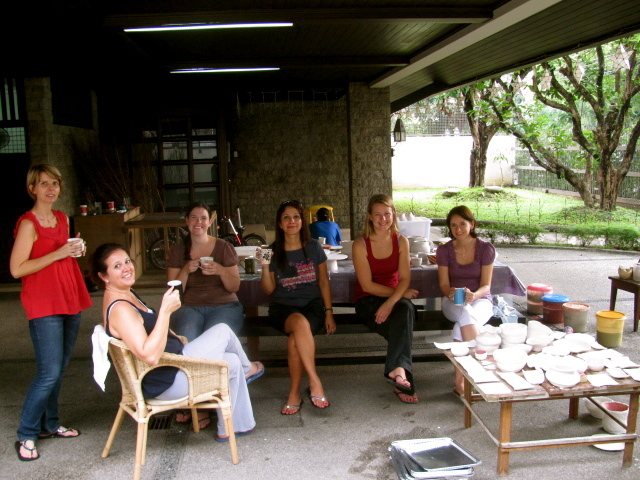 Sophie, thanks for hosting the pottery experience in your home! The Private Pottery Lessons don’t end after the glazing class. Someone hosts a pottery party at a private home and the rest bring food and drinks too. I deliver the glazed and fired pots and make sure that they all see their works on the table or on the floor. It’s like a mini show of all their hard work! We chat about what they have made, how they can work better, by taking the intermediate class on Hand Building. 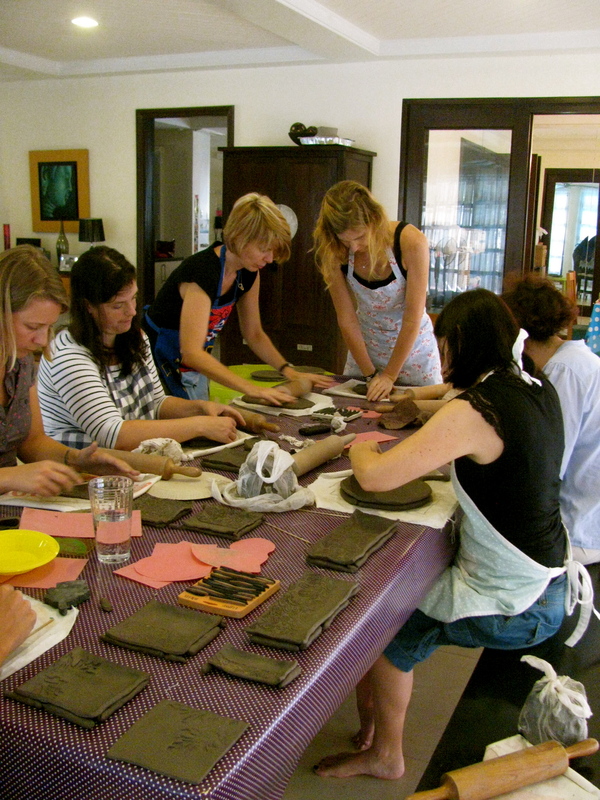 The house was filled with laughter, creative ideas, and more excitement in learning more about pottery. Very soon, their kids will try pottery making too! Thanks for hosting us, Farida! The Prosecco was really good. It was fun chatting with your mom too! There are lots of unique ways to spending a fun time. 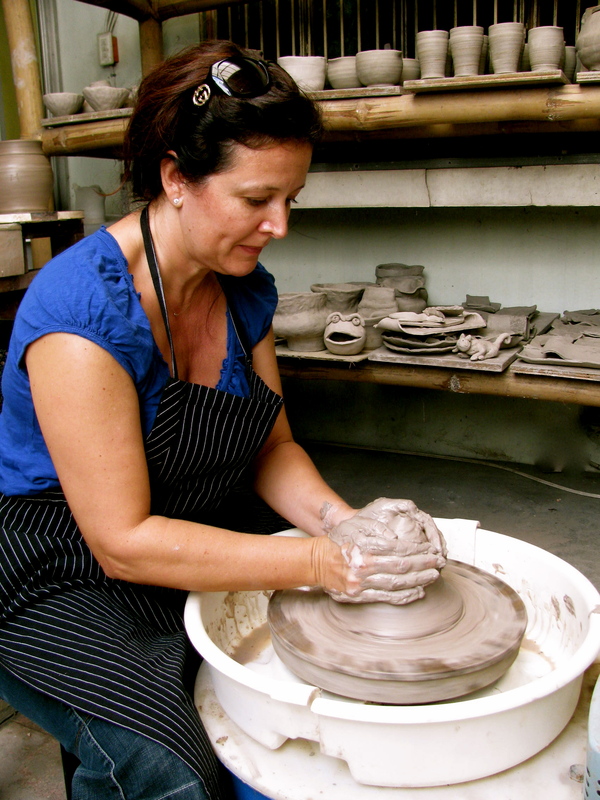 Learning pottery is a brand new way to relax and catch up with friends and family. 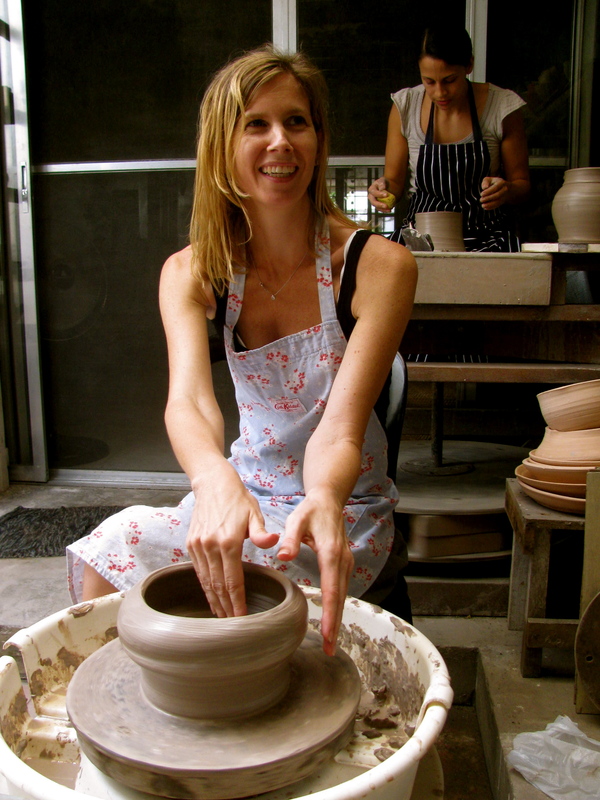 Try it and be amazed by how this new acquired skill can inspire you to keep making more pots! We are a few days away from the new year, 2012. Get into a new hobby. Be inspired by a traditional craft. Discover a new passion. Get those hands and clothes all muddy! Have fun in a new way! To reserve a slot for private pottery lessons, please send an e-mail to clay.ave@gmail.com or contact Mia Casal at +632 9665168 or +639178071978. Please visit http://clayave.weebly.com to see more about the pottery making experience. Happy Holidays and muddy cheers from Clay Ave Pottery Studio! I am looking forward to seeing you all in 2012!